Let's celebrate that extra hour of daylight by shopping! 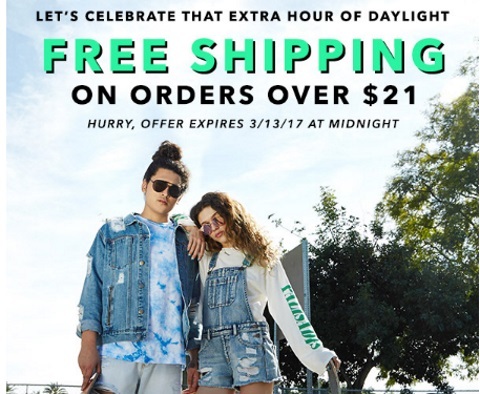 Get Free Shipping on orders over $21 at Forever 21! No promo code is needed. Offer ends 11:59pm ET on March 13, 2017.